Can Talking to Passengers Increase Car Accident Risk? You are here: Home / Car Accident / Can Talking to Passengers Increase Car Accident Risk? A study conducted by the Michigan Transportation Research Institute has revealed that talking to a passenger can be as dangerous as talking on a cell phone. Every day, car accidents change the lives of its victims. It is important to understand the key causes behind car accidents and look for ways to prevent them. 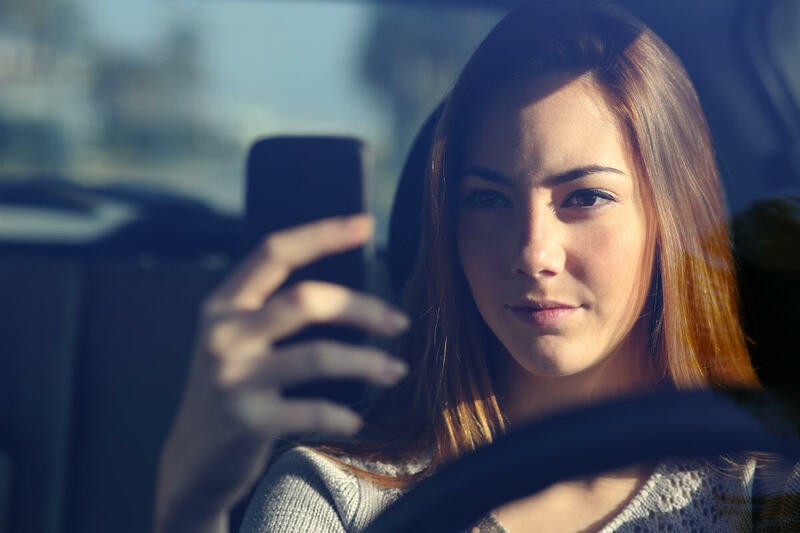 One of the most common causes of car accidents is distracted driving, and law makers and authorities have made considerable efforts to curb this menace. However, many drivers still fail to realize the dangers of distracted driving and continue to engage in distractions while driving. Distracted driving involves talking on a cell phone, eating or drinking, texting, or clicking selfies. However, most people do not consider talking to passengers a dangerous act. There are studies to prove that talking to a passenger can be a dangerous distraction. A study conducted by the Michigan Transportation Research Institute has revealed that talking to a passenger can be as dangerous as talking on a cell phone. According to the study, there were no significant differences between drivers talking on a cell phone or those talking with passengers. Both actions negatively affected driving actions such as proper steering or staying in correct lanes. Researchers installed cameras in 36 drivers’ vehicles to record driver behaviour and vehicle movements. The driver behaviour and vehicle movements were recorded for a period of 4 weeks, after which, the researchers analyzed the recordings to determine how a person’s driving skills were affected when they participated in various activities. The study revealed that many drivers engaged in secondary tasks. Almost 15 percent of the clips showed that drivers conversed with passengers while driving and another 5 percent talked on their cell phones. The results showed that there were no significant differences between the two types of motorists when it comes to behaviours such as lane position, erratic steering, use of the gas pedal, speed fluctuation, and glance behaviour such as checking windows and mirrors. Both types of drivers were distracted behind the wheel. This is a reminder that all drivers, irrespective of how busy or slow the traffic is, should remain alert, be aware of their surroundings, and should keep their eyes on the road ahead. If you or someone close to you has been injured in an accident caused by a driver who was busy talking or was engaged in some other type of distraction, you may have a claim for compensation. Talk to an Accident Attorney to learn about your legal options. Call The Hoffmann Law Firm, L.L.C. at (314) 361-4242 for a free consultation.